Few people know Dr. King was also an activist for nuclear disarmament and urged peace during the Cold War nuclear arms race. It is the breakfast of champions and nuclear disarmament. In the age of Trump, the Republican Party could use someone like Harold Stassen. The US vetoed the document because it contained a clause requiring Israel to meet with Arab neighbors and to participate in talks leading to the making of the Middle East a nuclear free zone. Is the Obama Administration Abandoning Its Commitment to a Nuclear-Free World? In a major address in Prague on April 5, 2009, the newly-elected U.S. president, Barack Obama, proclaimed "clearly and with conviction America's commitment to seek the peace and security of a world without nuclear weapons." 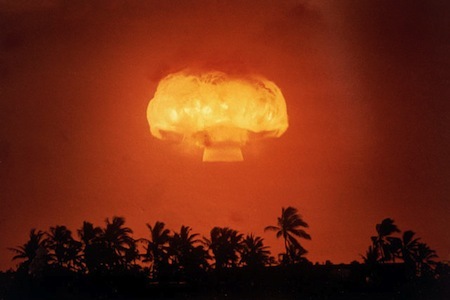 On January 24, 2013, however, Senator John Kerry, speaking at Senate confirmation hearings on his nomination to become U.S. secretary of state, declared that a nuclear weapons-free world was no more than “an aspiration,” adding that “we’ll be lucky if we get there in however many centuries.” Has there been a change in Obama administration policy over the past four years?